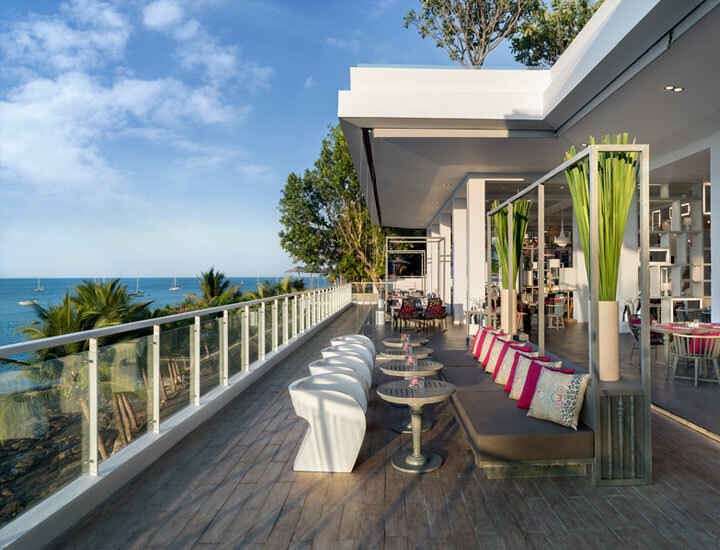 A celebrated institution from the moment it was conceived, COSMO’s bar offers a professionally curated drinks list paired with picturesque views over Nai Harn Bay. or gather with friends over a bottle of fine Italian vintage in the comfortable al fresco lounge area. rare single-malt whiskeys and wines from the world’s most-esteemed vineyards. 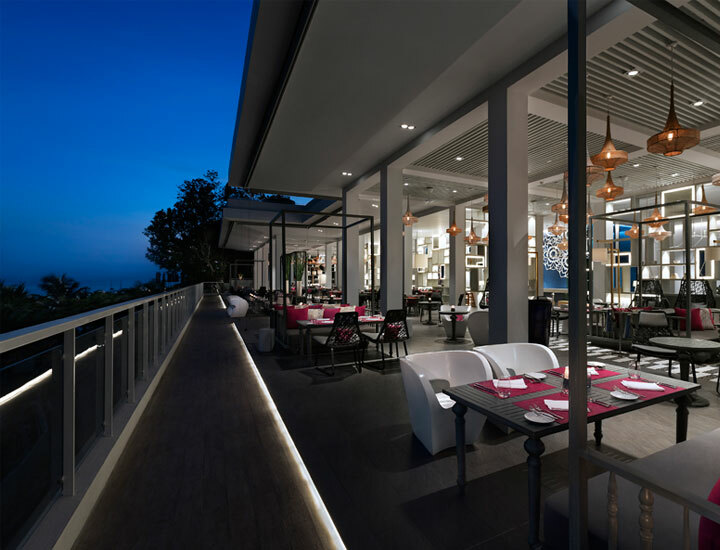 including award-winning handcrafted rum produced at the nearby Chalong Bay distillery and small-batch gins crafted in the heart of Bangkok. Our experienced mixologists understand their art and have a passion for creating drinks worthy of Cosmo’s stunning location. To supplement an extensive lineup of classics – from the perfect Manhattan to the beach-inspired Mai Tai – Cosmo’s mixologists are also innovators. Choose your preference from a selection of special creations you won’t find anywhere else in the world. 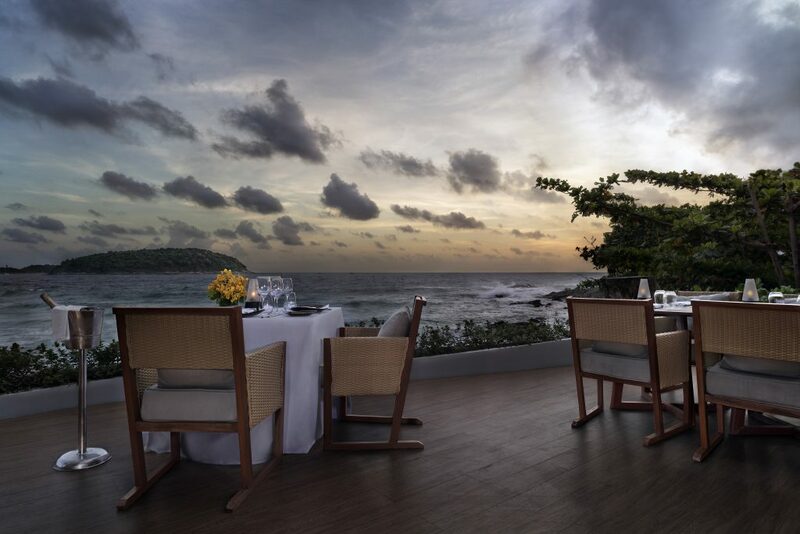 The selection includes everything you'd expect from a world-class island resort: tropical cocktails, rare single-malt Scotches, boutique rum distilled from locally grown sugarcane and wines from the world's most-esteemed vineyards. Our experienced mixologists understand the art of the cocktail. They're master mixers with a passion for creating drinks worthy of Cosmo's stunning location. In addition to working from an extensive library of classics – from the perfect Manhattan to the beach-bound mai tai – Cosmo's mixologists are also innovators. Choose your drink from a selection of special creations you won't find anywhere else in the world.